My goal in photographing pets is to showcase their unique physical and personality traits, while also making them feel comfortable and safe. I want this to be a fun experience, that results in images that you'll cherish forever. My private pet portrait sessions take place at my studio at the Bell Arts Factory, located at 432 N.Ventura Avenue, #37, Ventura, CA 93001. My creative fee for studio portraits on a white or gray background is $200 for an hour and includes 30 digital proofs. For studio portraits on a decorated set (with wallpaper and flooring), my fee is $350 for an hour and 30 digital proofs. (Location shoots are also available. Call 805.906.9202 for pricing.) To hold your reservation, I require 50% down at the time of booking. 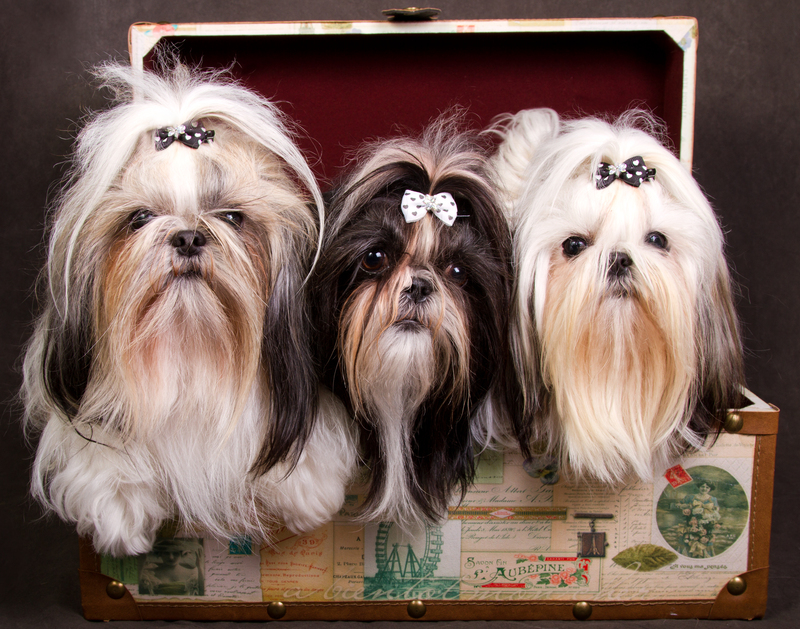 ♥ Time and talent to photograph one or *two pets, including preparation of the studio set, for the decorated set option. ♥ Your digital proofs, unedited, or lightly processed in Photoshop, and delivered in an online gallery. * The complexity of a pet portrait session goes up with each animal, therefore I charge $50 per additional pet, per hour, beyond two pets. PLEASE NOTE: The session fee does NOT include digital downloads or prints. Once you choose your favorites from the online proofs, I make the final edits to your selections in Photoshop. You can purchase digital and/or printed versions of the edited selections. Digital images will come with a license that explains how you can use the images. Prints of all sizes, gorgeous gallery-wrapped canvas, and many other quality photo products are available in my online store. Final editing includes standard processing in Photoshop to offer the best possible images in terms of color and exposure, as well as minor retouching to remove leashes or edit background inconsistencies. Any special editing requests, such as processing for spot color, or retouching to remove collars, hands, etc, will incur an additional charge. We'll discuss this all up front when we determine your wish list for your perfect pet portrait session. Commercial photography for the pet industry is a growing area of focus for my business. 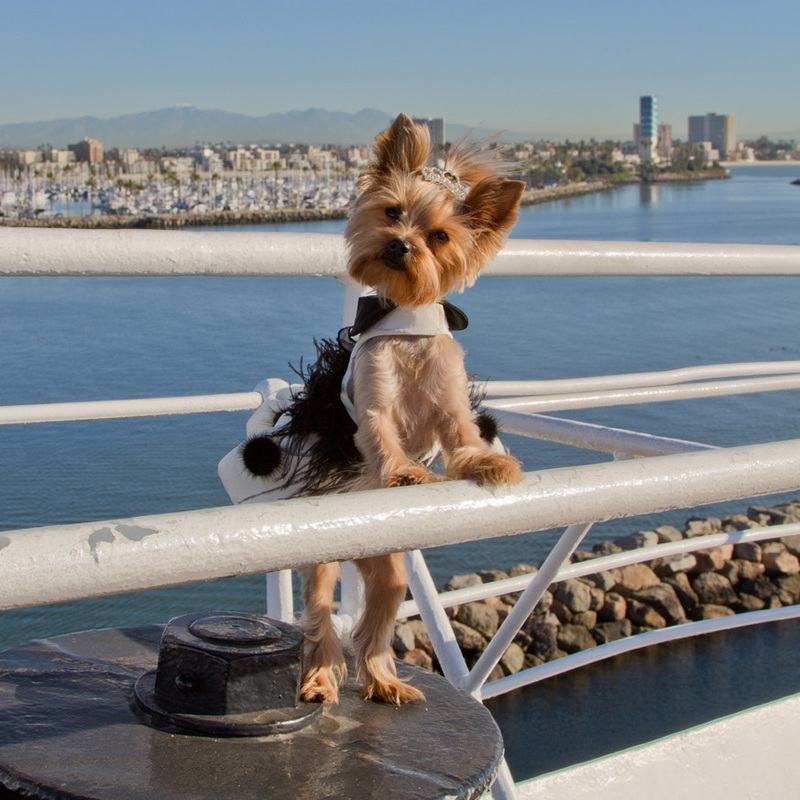 I recently photographed dogs visiting dog-friendly locations, including the Queen Mary, docked in in Long Beach, and the Hollywood sign, for the book "Ruff Guide to the United States" by BringFido. 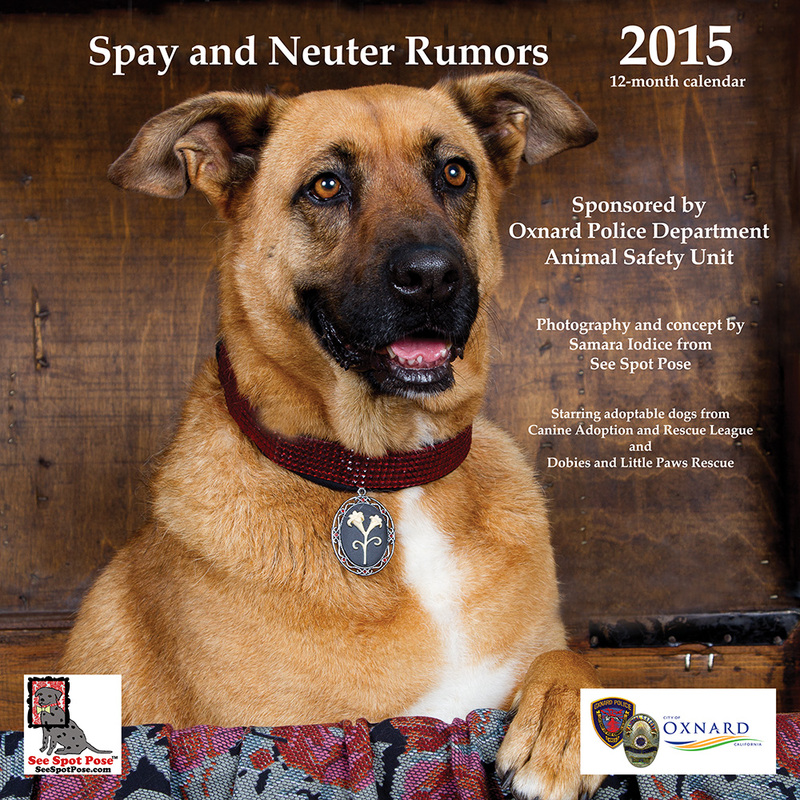 In addition, the Oxnard Police Department, Animal Safety Unit commissioned a 2015 wall calendar "Spay and Neuter Rumors", featuring 17 local rescue dogs, for their community spay and neuter education program. The calendar was based on an original See Spot Pose concept, and featured my photography and writing. Every month I perform pro-bono work for various rescues and shelters, to photograph animals for adoption. It's been proven that professional photos help get animals adopted, so I do as much work in this area as my schedule will permit. Most of the rescue dogs I photograph are for the Canine Adoption and Rescue League in Ventura County, and I've also photographed pets for The Homestretch Greyhound Rescue and Adoption, and Greyfoot Cat Rescue and Sanctuary. 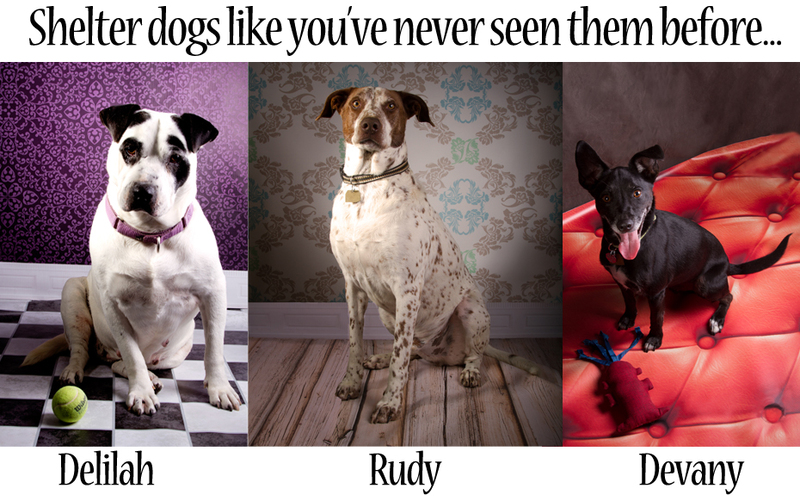 Obviously, there are many more adoptable pets than I'll ever be able to photograph, but I do like to help when I can. If you're a rescue organization looking for photography help, please email me with information about your organization, and when and where you need photography assistance. I will see what I can do about adding your organization to my pro bono schedule. 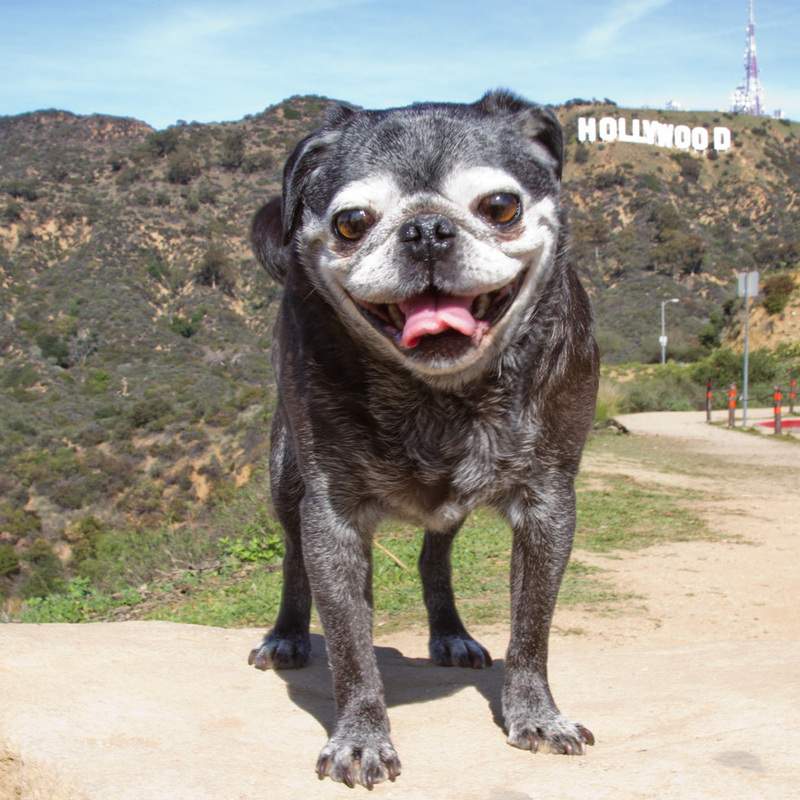 If you're interested in supporting the rescue dogs, I offer a line of greeting cards and an annual calendar, featuring many of the dogs I photograph. You can purchase those items, as well as my line of fashion harnesses and accessories for dogs and cats, in my See Sot Pose store at https://www.etsy.com/shop/SeeSpotPose. I donate a percentage of all my earnings from my Etsy shop, to support the direct care of rescue dogs, as well as provide community education to prevent animal neglect and abuse.